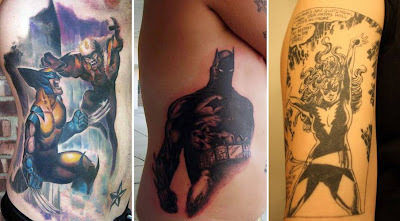 It's A Dan's World: THE TOP 6 COMIC BOOK TATTOOS: Is Your Healing Factor Ready? THE TOP 6 COMIC BOOK TATTOOS: Is Your Healing Factor Ready? Tattoos are not an art form for the indecisive. 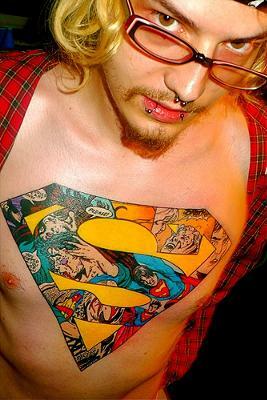 Branding your allegiance with a well inked piece of skin art is a pretty permanent thing. You can't go to bed planning on Darth Vader, wake up thinking Batman and walking out with Superman – that sucker is permanent. If you are still looking at plastering your favourite DC hero, Marvel villain, Transformer or inter-franchise crossover across your flesh, here’s 6 of the best that have gone before you and lived to tell the tale. These are definitely cartoon tattoos for the boys. 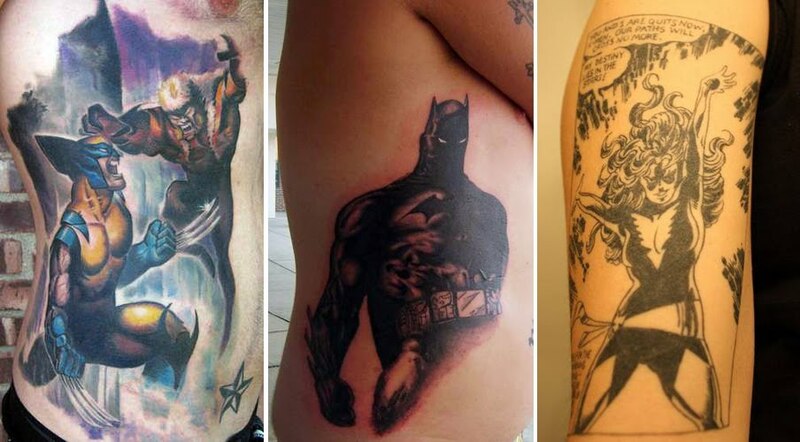 Girls won't be impressed with these tattoos, guys. You got that right, I'm thinking the girlfriend won't be too impressed with an X-Men covered chest - Psylocke or no Psylocke! Hey some of us girls like comic books. 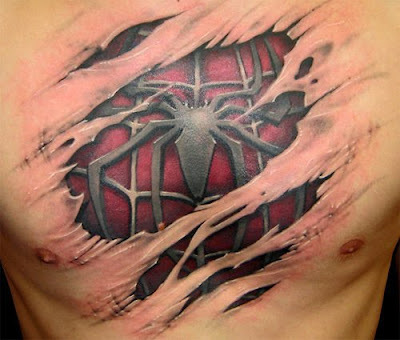 I for one said if I ever got a tattoo it would be the Wolverine criss-crossed claws on my back. Good point Anon! I actually ran into a lady bout two weeks ago that had She-Hulk on her shoulder. Guess good art is good good inspiration for ink now no matter where it comes from. Not sure who I'd run with under the needle... maybe Silver Surfer? Either way thanks for the comments and welcome to IADW!